Have you ever opened up a Scentsy Bar to see that the wax is … um … sweating? Do some of the Scentsy Bars in your stash not look as brightly colored as when you first got them? Have you ever been tempted to take a bite out of your Blueberry Cheesecake Scentsy Bar? We receive all kinds of questions about our authentic wax Scentsy Bars — the weird ones are our favorites! — so we thought we’d take a moment to answer some of the questions we hear most (or love best). 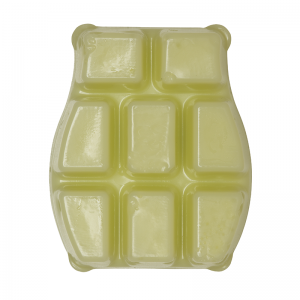 A Scentsy Bar is a block of fragrant wax in eight break-apart sections. We call them wickless candles! They’re available in more than 80 exclusive Scentsy fragrances and designed for use in a Scentsy Warmer. Learn more here. Where are Scentsy Bars made? 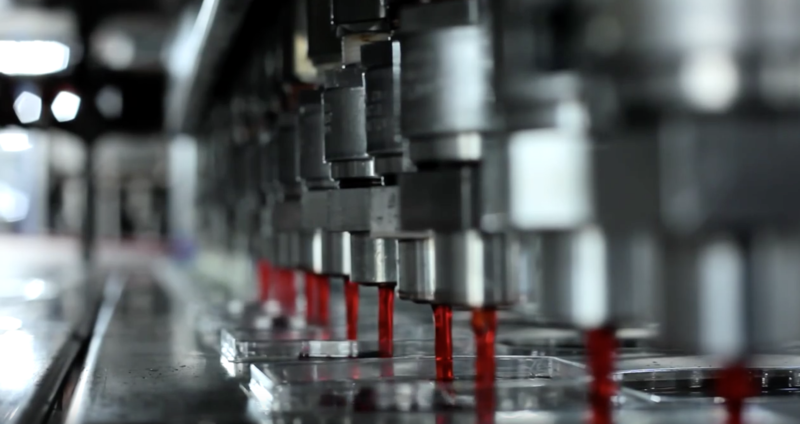 We manufacture all wax products at our campus in Meridian, Idaho. Made in the USA! Why does my wax look like it’s sweating? Don’t store your Bars in the freezer. Do store your Bars in a cool, dry place away from direct sunlight or extreme temperatures. Should I throw “sweaty” wax away? Nope! When warmed, the oils should blend back in with the wax just fine, with no noticeable effect on your fragrance experience. Why is my Scentsy Bar’s color fading? Store your wax properly. Don’t remember how? Check out this post. Extreme heat or direct light can impact the look and shorten the shelf life of your Bars. Just because it looks different, doesn’t mean it won’t still smell great! Color alone shouldn’t compel you to toss your wax in the trash. Try it first! I have two Bars in the same fragrance — why do they look different? Depending on the color(s) used to dye the wax, you might notice teensy variations in color. Any color variation is purely cosmetic and does not affect the fragrance, its intensity or the scent throw of your Bars. What kind of wax is used to make Scentsy Bars? Scentsy Bars are safer than wicked candles because no flame is required. Since the wax is warmed and not burned like traditional candles, no harmful chemicals or pollutants are released into the air — just beautiful fragrance. That means no flame, smoke or soot! No. Even if it smells good enough to eat, don’t. Easy steps to planning your summer — and making the most of it! ok…i have a secret…my wife uses these and yes i like them also. i don’t care for a flame especially with kids and dogs…so they work the best. Top tip for cleaning out your scentsy dish. Instead of pouring the wax out (which can run down the side of the dish) just pop a cotton wool ball in to soak up the wax, give it a wipe then put in your next cube. How much truth is there in this? A friend of mine is concerned about inhaling the fumes and wants to know is this also true about wickless products such as wax in Scentsy warmers? I just started selling Scentsy and I was just wondering if we can or cannot say that the wax melts are non-toxic if eaten by a child or a pet ? Hi Leane, welcome to the Scentsy family! While The wax we use is food grade, our products are not meant to be ingested no matter how delicious they might smell. If it is ingested by a child or pet, we still recommend contacting poison control or consulting your veterinarian. i am dissapointed that the smell of the cubes only last about a day and then it is just melted wax. Is there any additive I can get to rejuvinate the smell? I’ve used Scentsy for five years, and suddenly, the product is inferior. The product is not the same, does not last, sweats, leaks and is a waste of money. Hi I have a few questions about some products. I don’t do candles or wax melts usually because most contain chemicals and dyes. Do scentsys contain any? And are your essential oils 100% natural? Please confirm the scentsy ingredients, for animals even natural products can be very harmful. I have been given pineapple pucker and there is no ingredient list on any of the packaging which I am shocked about. I cannot risk using it without confirmation of the ingredients. I have to agree with the last couple of ladies that mentioned the fragrances aren’t as strong & don’t last as long as they used to. Coconut Cotton is the latest one I just noticed, darn it!!! Another BIG problem I have is, I for sure will NOT be ordering in warm/ hot weather anymore! 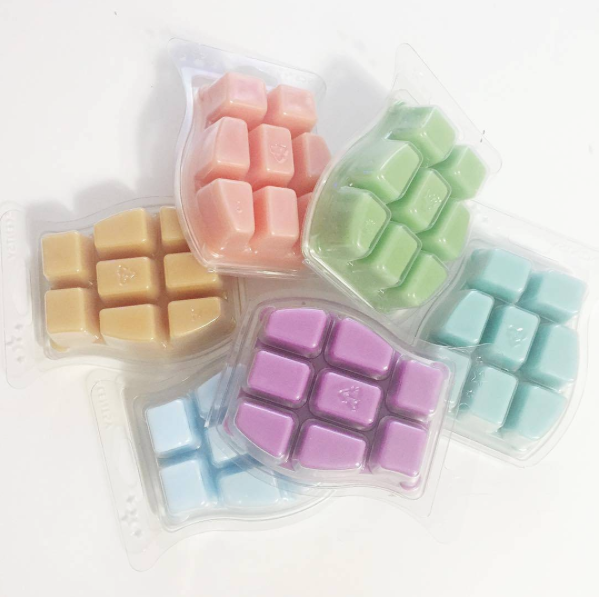 Every single bar I got last spring/ summer was/ is rubbery, the cubes don’t break apart nicely, NO, they are rubbery & hard to break apart.😡 I have asked 2 reps & they say Scentsy doesn’t ship with a cold pack….WHY??? Who in the world wants to pay a ton of money for basically USED BARS??? Come on Scentsy, please quit cutting corners on quality in order to make more of a profit. I’m betting that ea bar costs you less than 50 cents to make & we, the buyers, pay a premium of $5-$6 ea. You’ve got to keep the quality of the product at a premium & cut costs somewhere else, otherwise you will be out of business when the next business like this one pops up.